More and more employers are struggling to recruit and retain strong and capable managers because there just aren’t enough candidates with the right skills or levels of experience. Employers are also experiencing financial pressures in respect of the level of salary they are able to offer. This paper outlines why businesses should be investing in management and leadership development, rather than looking to recruit externally. 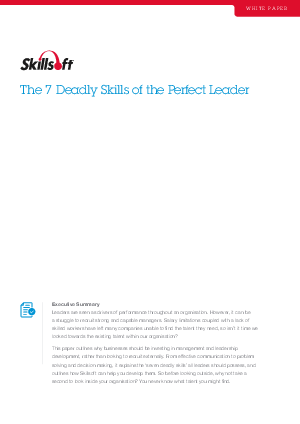 Download now to discover the 7 Deadly Skills and how skillsoft can help you develop them.